It's Good Friday, and I want to say that I am so grateful for the true significance of Easter. I have been a Christian for many, many years and, for me, Easter is one of the most meaningful dates on the calendar - even more so than Christmas. 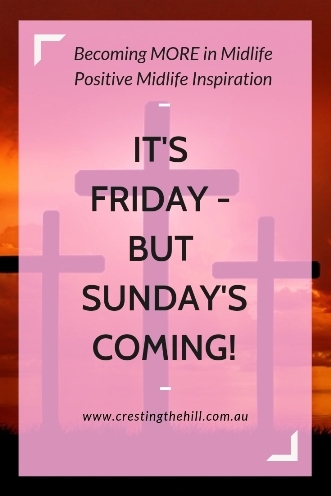 It encapsulates all I believe in - the amazing sacrifice that Jesus made on the cross and the triumph of him rising again on Sunday - what's not to be grateful for? 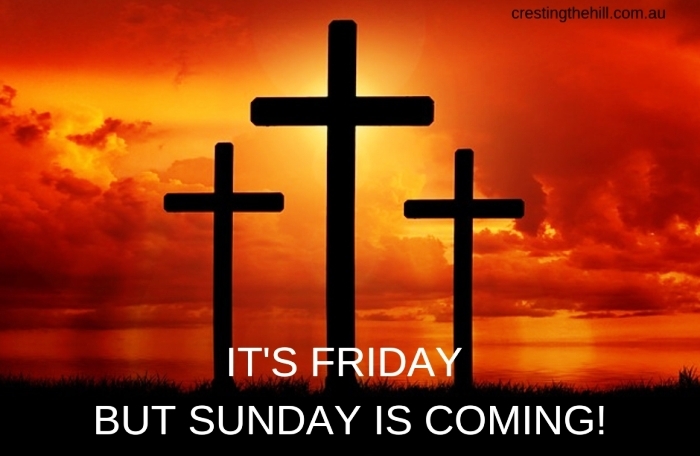 A few years ago, on Good Friday, we had a video that was played in church that was titled "It's Friday, but Sunday's coming!" and it has stayed with me all this time (I have a memory like a goldfish when it comes to movie plots and remembering books I've read, so having a clear recollection of this clip means that it touched my heart). I've attached it below and hope you can find four minutes to watch it and maybe it will touch your heart too. I think I've now watched it half a dozen times and it still resonates so strongly - the brutality and sacrifice and the ultimate power of the resurrection. May Easter bring you the joy of the resurrection and the assurance you are loved beyond measure by a God who knows your heart and mind and soul. I am grateful for the faith I have which allows me to accept and believe this message that resonates into eternity and gives me a purpose for my life. I'm also grateful I live in a country that allows me my beliefs, and allows others to choose what they believe without fear or persecution. I will never take that freedom for granted. We have a beautiful service at our church on Good Friday. It always makes me weep. Ours was a bit ordinary Marcia but still nice to have gone and remembered why Easter actually exists! So glad you liked it Mackenzie and I hope you and your family have a wonderful Easter time too - remember.... Sunday's coming! It is Sunday in NZ. Wishing you a Blessed Easter. Thanks for sharing the video. I am not a Christian but I believe in Christ Consciousness. Jesus the man died but Jesus the soul, the Divine consciousness lives eternally. Thank you. You touched my soul today. What a powerful little video Leanne. 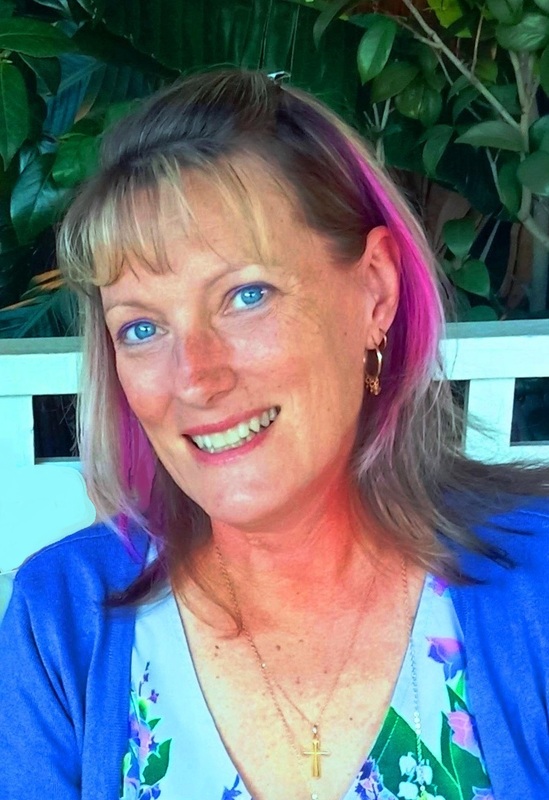 Thanks for sharing it on the Blogger's Pit Stop. We wish you a blessed Easter time too. I am thankful for Jesus taking my place on that cross, he was sinless, I am not. I am thankful for His bodily resurrection and the true hope we have in Him. We are going to feature this post of The Blogger's Pit Stop, be looking for it on Friday. That was beautiful Leanne. Thanks for sharing it. I'm not sure what I am although I was raised as a Christian we didn't attend church as a family. I went by myself from the time I was 9 until I was 15. Then my dad died and I never went back. I'm trying to figure it out. You know how it is we all got something haha.